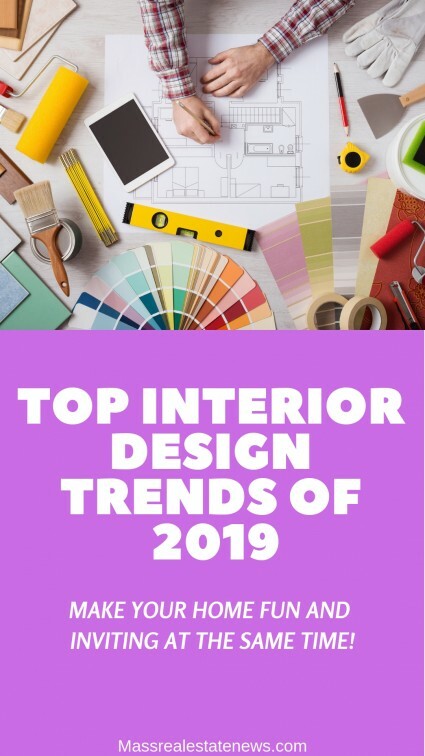 What Are The Best Interior Design Trends For 2019? 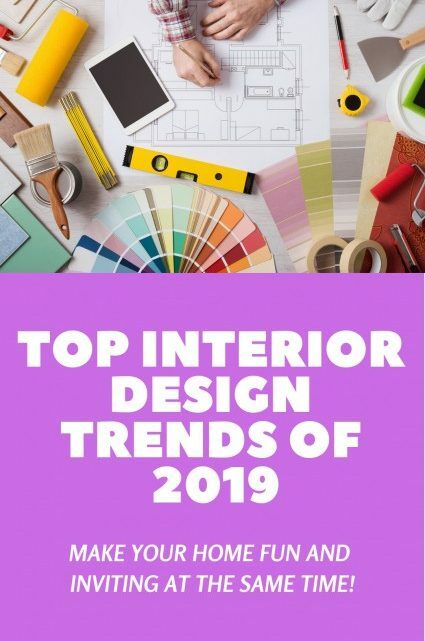 Lots of folks wonder what the top interior design trends will be for the coming year. If you’re in search of a project for this spring, one idea is to take the time and energy to redecorate your home. The sun is shining; it isn’t cold anymore, so you’ll be able to open the windows and let the paint dry off quickly. Plus, you’ll be able to spend time outside without freezing up, and it’s an essential factor when you consider getting the tools or doing some quality DIY. Perhaps you don’t want to redesign your whole house, and you don’t want to spend too much money. However, all this is possible depending on your good will and creativity. What you need is time, and everything else can be managed with neat ideas and YouTube tutorials. Pastel and neutral walls are absolutely out this season. This year is all about making a statement. This is why you should opt for a completely unconventional approach and paint your walls any way you like, except ordinary. Have some fun, mix it up, have a different theme for each room and each wall. You can put silly wallpapers or even paint your own walls. Be the artist of your own house and paint motives that will describe your energy and set the right atmosphere in the room. You can also glue various materials on the wall and create some kind of weird artwork that will create a signature look for the whole room. Just free your mind and let your imagination run wild. Keep in mind, however, you don’t want to make your home stick out like a sore thumb. When it comes time to sell, you probably won’t want to be spending thousands of dollars making home improvements to bring your home back in line with what’s acceptable for the market. Round is back in, and that means round tables, sofas, and those cute little armchairs are perfect for renewing your living room. You should include as many round details as possible, too. Carpets, frames, and tabourets can also be round. Curvy flower pots with ball-like flowers or a bush groomed as a ball are perfect accessories. This geometrical harmony will catch the eye of anyone who walks into the room, and it will have a calming and pleasant effect on the ones that spend time in there. Each room needs a focal point regardless of the way it’s designed. This can be anything you like. For instance, your library can be focused on a lovely romantic rug and an armchair that will represent a reading spot in the center of the room full of books. In your bedroom, it can be an unusual lamp that captures your look as soon as you enter or an antique chest in your living room where you’ll put some of your favorite framed photos. It isn’t obligatory for each room to have a focal point, but it’s recommended. It will be the place that naturally attracts anyone who walks in, and it will give your space the harmony it needs. It’s finally time to phase out the Scandinavian mild style where less is more and make room for the grand entrance of “More is more.” Whether it’s antiques, personal mementos or you’re collection of individual items; you can stuff them all in your maximalist room. Put up as many pictures as you like, add cupboards and chests, as well as various ornaments in the room. You can make a gallery out of one wall and fully cover it with pictures that have noticeable frames. If you want to make your bedroom maximalist, opt for a four-poster bed and put some impressionable curtains over it and you’ll be sleeping like royalty. In general, focus on bright colors and graphic patterns and stay away from neutral. It’s becoming more and more popular to display love for nature in interior design, as well. Depending on how deep you’re willing to go when it comes to changing your home, you should try to let as much natural light in as possible. In order to emphasize your love of nature, you should use natural organic materials. Wooden floors and wooden furniture fit in here perfectly. Bamboo is very popular, and it’s exceptionally aesthetically pleasing. Try to make the room as natural as you can. Put a bunch of flower pots and wooden ornaments and feel free even to exaggerate, as long as you don’t stray from the theme. You can go outside the ordinary and use this style to redecorate your bathroom. You can make your bathtub look like a pond, and you can even have a fountain and a rock or wooden floor. While we’re on the subject of new trends and breaking stereotypes, a generic kitchen is something difficult to surpass. There’s nothing to fear. You can also experiment here. People think that there isn’t much room for creativity in a room that should focus on functionality. However, you can be creatively practical and decorate your kitchen in an absolutely weird way. Eclecticism is a relatively new style, and you should be the one to popularize it. The rules are that there are no rules. Paint each of your cabinet covers a different color and put everything on display. Buy silly plates and cups that somehow create harmony together and display them proudly in your kitchen. As you can see, 2019 is all about non-generic styles. However, it’s crucial to separate generic from classic. Some things shouldn’t be changed, but others simply must. Aren’t you tired of all the ordinary design every house has? If you are, then you need to go on a mission of a complete makeover, and you’ll absolutely love yourself for this decision after everything is done. How to prepare your house to sell – see tips and advice at Active Rain on how you can be a successful home seller. Get your home under contract fast with some expert guidance. Low cost improvements that will sell your home – see some of inexpensive ways that will bring up your property value and make it sell quicker in the process. Should I remodel or buy a new home – see some of the considerations between choosing new construction or staying put and renovating your existing home. How to improve curb appeal – see how you can make your home’s exterior look at lot better with these tips. About the author: Amelia Atkins is an author at Smooth Decorator and a fresh architecture student. The love for architecture and design runs in her family. She knew what she wanted to do from a very young age. You can often find her with a notepad in hand, just looking at the clouds, dreaming about the next skyscraper.